Amaktoolik Studios is a 100% Native American owned architecture and strategic planning firm based in Denver, CO. Our services include architectural and interior design, master planning, and strategic community development with a primary emphasis of working within our fellow Native American communities. Having worked with dozens of Native clients across the United States, our 28 years of experience includes projects in the gaming, hospitality, retail, restaurant, conference, education, medical and community master planning markets with a completed construction value in excess of $1.5B. AmericanChecked Inc. is a nationwide background screening company dedicated to the gaming industry. We are Indian/woman-owned, nationally accredited & HUBZone-certified. Decades of experience & deep industry roots, coupled with state-of-the-art security/ technology, distinguish AmericanChecked in today’smarketplace. After years of conceptual development, TribalTRAC is now heralded as the first-of-its-kind integrated Tribal solution built by the industry, for the industry which allows Tribes to safely, easily & securely share valuable information with one another. As TribalTRAC demonstrates, AmericanChecked continues to listen, create & respond with passion & dedication to excellence. Join other Tribal leaders by getting on the fast TRAC, too! Aries Technology™ designs, develops and delivers innovative and immersive Class II and Class III gaming products featuring local and wide-area progressive prizes; incorporating innovative technology, such as Xtreme Rewards® and Xtreme Game-N-Game®. Aristocrat Technologies, America's subsidiary of Aristocrat Leisure Limited, designs, manufactures, markets and sells gaming machines, progressives systems and the Oasis 360 casino management system. OEM of slot machines and multi-station casino games. AGEM is a non-profit international trade Association representing manufacturers and suppliers of electronic gaming devices, systems, table games, key components and support products and services for the gaming industry. Uniforms and career apparel for gaming from the Front-of-the-House to the Back-of-the-House. Custom, made-to-order unique garments for Beverage Servers, Dealers, Housekeeping, as well as stock. Bergman Walls & Associates, Ltd., Architects, specializes in the design of Resorts, Casinos, Hotels, Retail, Dining, and Entertainment facilities with offices in Las Vegas and Ho Chi Minh City. BWA services include Master Planning, Architectural Design and Interior Design. 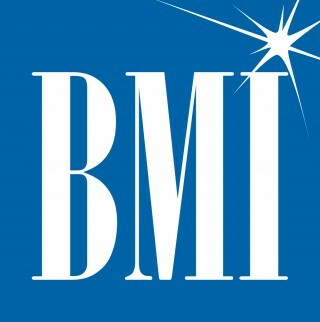 BMI® is a global leader in music rights management, serving as an advocate for the value of music. BMI represents the public performance rights of 14 million musical works created and owned by more than 900,000 songwriters, composers, and music publishers. For additional information and the latest BMI news, visit www.bmi.com, follow us on Twitter @BMI or stay connected through Broadcast Music, Inc.'s Facebook page. BMM Testlabs is the longest established and most experienced private independent gaming certification lab in the world. We have been serving the gaming industry for over 34 years. Our experience, expertise and dedication in this fast paced and evolving market ensure we always exceed client expectations. CLIS serves California Indian communities with no-cost and low-cost legal services that involve issues unique to Native Americans. CLIS is one of the oldest not-for-profit law firms in the country that is devoted exclusively to the cause of Native American rights. CIS Technology is excited to present our industry-leading Slot Floor Monitor System (SFMS). The SFMS offers an unparalleled combination of real-time analysis, reporting and dispatching tools, and is currently deployed in more than 80 Casinos. CIS' SFMS will (as one customer put it) "revolutionize Customer Service on the Slot Floor." The SFMS provides real-time event monitoring on any PC or any wireless device with a browser, and traditional dispatch services or self-dispatch via wireless. Statistical Reports and Graphs help supervisors manage staff in a real-time, proactive manner. Add-On modules include Wireless Services, Employee Status/Task Management, Premium Player activity and notifications, and Patron Services for patron requests. CliftonLarsonAllen is one of the nation's top 10 certified public accounting and consulting firms. Structured to provide Tribal clients with highly specialized insight, the firm delivers assurance, tax and advisory services. Our services are tailored to the needs of Tribal governments, casinos, and other enterprises. Cuningham Group is an architecture, interior design and planning practice that has focused significantly over the past 28 years on the gaming and entertainment markets. The 315-person firm is known for their client-centered, collaborative approach Every Building Tells a Story®, which emphasizes one-of-a-kind solutions reflecting the vision of clients and the character of each property and site. This approach complements the firm’s position as leaders in contemporary Native American design. Cuningham Group understands the importance of culturally relevant design and the central issues involved in the development of tribal resort projects. Native authorship, cultural references and tribal community involvement help fulfill tribal self-determination and sovereignty goals by allowing communities to shape their futures from a truly Native perspective. Recognition as the no. 3 Top Entertainment Design Firm by Engineering News Record (2018) is further evidence of the firm’s ability to consistently deliver on creating cutting-edge design solutions for clients who seek next level resort experiences for their customers. For more information, visit www.cuningham.com. Dreamcatcher hotels Supplies turnkey hotel solutions that remove the guesswork and surprises often found in hotel developlment. We are committed to being the lowest cost-per-key developer of a 4-star (and AAA-Diamond ready) hotel in the industry. Under co A NIGA Associate Member of the Year, HBG works with some of the most recognized Native American Tribes across the US, creating market-responsive properties for tribal clients that drive greater customer loyalty and bottom-line success. Designing dynamic destinations that work - that is the hallmark of HBG. Many ask how we are able to experience steady growth. We are mindful of what’s important: hiring the best people, expanding our service lines, looking for new opportunities and finding better ways to serve our clients. We are always in motion. Encompass serves as the owner's representative of major construction projects for leading companies in the gaming, hospitality, entertainment and retail fields. Encompass provides expert guidance, management, and oversight as a strategic partner in the design, build, and construct turnkey process. For more information about Encompass: www.emcompass-ddc.com. Publisher, Fantini Research, a part of the gaming community for over 16 years provides consultation research, and high-end gaming reports to the gaming industry. The daily reports give accurate, actionable, intel that give investors and casino operators information to make important gaming investment decisions. Gaming Laboratories International (GLI) is celebrating its 25th anniversary. For the past 25 years, GLI, the world’s leading gaming testing laboratory and technical consultancy, has proudly partnered with Tribes across North America to provide testing, certification and consulting services to their Gaming operations. GLI has been a long-time supporter and advocate of Tribal Gaming and is a proud Associate Member of NIGA. More than 250 Tribes already rely on GLI for their testing and certification servic es, of the 455 jurisdictions GLI tests worldwide, more than 130 use GLI exclusively. GLI is the recognized leader, in Class II and Class III testing, ISS audits, IT and internet security assessments, and onsite casino floor verification and inspection. For over 70 years, Gasser Chair has been designing, building and perfecting the art of commercial and gaming seating, using only the highest quality materials and the highest standards of manufacturing. Suppliers of slot tickets for the Gaming Industry. Goff Public has helped clients shape public opinon and protect their reputations for more than 50years. We are Minnesota's most experienced public relations/public affairs firm working with Native American tribes and organizations. As a national leader in Indian Gaming and hospitality design Hnedak Bobo Group (HBG) has specialized in architecture, interior design, and project and development management for over 35 years since its founding in 1979. A NIGA Associate Member of the Year, HBG works with some of the most recognized Native American Tribes across the US, creating market-responsive properties for tribal clients that drive greater customer loyalty and bottom-line success. Designing dynamic destinations that work - that is the hallmark of HBG. Houston Productions, with offices in Las Vegas, Minneapolis and Seattle, is a proven leader in casino entertainment buying and consulting across the country. We work closely with our casino clients to develop strong relationships and know our clients well enough to anticipate their needs and provide opportunities for success. We have very strong ties with industry leaders. I-5 Design & Manufacture, Inc. Incredible Technologies specializes in the design and development of innovative electronic gaming machines for Class III casino markets. The company is a certified Women's Business Enterprise headquartered in the Chicago suburb of Vernon Hills, Illinois. Indian Gaming, The National Magazine of the American Indian Gaming Industry, is published monthly by ArrowPoint Media, Inc. Entering its 26th year in print, Indian Gaming magazine is a must-read favorite of tribal leaders and casino executives and is distributed monthly to every tribal gaming facility in North America. Indian Gaming Buyer's Guide & Directory, the industry yellow pages, is printed annually. JCJ Architecture specializes in master planning and design of Native American casinos, hotels and entertainment destinations nationwide. JCJ's unique approach is to unifying the goals of our clients with the dynamics of the marketplace. We take pride in helping our Native American clients advance their economic and self-determination goals. JOSEPH EVE(JE) is a team of experienced accounting and technology professionals focused on serving Indian Country. Each of the 60+ team members has a passion for helping our Tribal Casino and Tribal Government clients succeed.JOSEPH EVE(JE) is a team of experienced accounting and technology professionals focused on serving Indian Country. Each of the 60+ team members has a passion for helping our Tribal Casino and Tribal Government clients succeed. Our practice areas include external and internal audit, financial management software, Title 31/AML risk assessments, finance process optimization, accounting assistance, fraud investigations, and controller/CFO advisory services. Each year we publish the Indian Gaming Cost of Doing Business Report and facilitate 8 to 10 national casino focused seminars. By listening to our clients and gaininga thorough understanding of their individual needs and challenges, we work together to realize success. Building Nations Creating Opportunities - A 65+ year old employee-owned company, Kitchell is one of the most prominent construction management firms in the Western US. 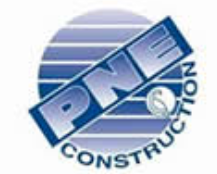 In 1989, they began their Native American Division with a mission to "Positively impact as many Native Americans lives by building quality projects and creating jobs that will benefit tribal communities and strengthen sovereignty.” Kitchell provides Construction & Project Management services in gaming, hospitality, education, energy, healthcare, and other market sectors. Together, Building Value Every Day. Kronos offers the industry's most powerful suite of tools and services to manage and engage your entire workforce. Many of the Tribal Casinos today use Kronos to Control Labor costs, minimize compliance risk, and improve workforce productivity. Learn more about our company and what inspires our success at www.kronos.com. The Mahoney Group Tribal Department is recognized as the largest provider of innovative insurance, risk management services and employee benefit programs in the West. Headquartered in Arizona, with offices in California, New Mexico, Nevada, Utah, Washington, and over 500 worldwide partnership offices, regardless of the size, location, or the extent of your insurance requirements, our knowledgeable, experienced, professional staff are dedicated to develop the most appropriate and cost effective programs to help you meet coverage needs and future goals. Founded in 1988, Marketing Results is the first and largest consulting company specializing in marketing to the gaming industry. Headquartered in Las Vegas, Nevada, Marketing Results is a full service communication agency developing customer relationship management solutions, brand marketing, database analysis, research, and creative design for casinos in North America and Canada. Tradition. Passion. Innovation. These are the cornerstones on which Merkur Gaming is built. The company excels and specialises in the development and sales of AWPs, cutting-edge casino machines, and VLT and SBG solutions for international markets. Our focus is on multi-games. Systems integrator speciaizing in Loyalty software mobile, payment and back officeapplications. Player card programs, fuel and loyalty programs. Pacific Ag Insurance is dedicated to serving the Insurance needs of Indian Country. Having 22 years experience working for Tribal Governments and Tribal Enterprises we have a unique understanding of the market place and how best to protect Tribal Assets. We are very experiencedbut not limited to General Liability, Auto Liability, professional liability, Workers Compensation, property insurance, and health insurance. Wholesale gift shop sales of fashion Jewelry Sterling Silver. Raving is a full service gaming consulting company that offers Strategic Marketing Planning, Customer Service Training/Evaluation, Host and Player Development Sales Skills and Training, Database Marketing & Analysis, Customer Research, Direct mail writing & Analysis, and more. REDW LLC has three decades of history serving tribal gaming operations as proactive auditors, tax and consulting advisors. We provide value beyond compliance and proactively interact with gaming leaders to solve technical challenges and develop practical solutions based on their unique culture and values. For audit, tax, performance evaluation, investment management, benefits administration or compliance needs, REDW is an ideal partner for your gaming operation, and we look forward to demonstrating why. RSM US LLP is the leading provider of audit, tax and consulting services focused on the middle market, with more than 8,000 people in 80 offices nationwide. It is a licensed CPA firm and the U.S. member of RSM International, a global network of independent audit, tax and consulting firms with more than 37,500 people in over 110 countries. RSM uses its deep understanding of the needs and aspirations of clients to help them succeed. Full service Financial Service firm specializing in investment management, 401k management and compliance. Dedicated to the unique and diverse needs to tribal members and employees. Customized financial advisory and consulting services. Rymax Marketing Services is the leader in providing player loyalty solutions to the gaming industry and a sought-after strategic marketing partner for Fortune 500 companies. We create and service turnkey player loyalty solutions that are customized for leading casino properties worldwide. Our award winning, innovative, programs are designed to drive ROI for the property while increasing both loyalty and repeat play from the guests. By developing proven generational segmentation strategies and offering players access to over 10,000 products from 300 aspirational brand name manufacturers, at factory-direct pricing, Rymax is the only organization you need to fulfill all your loyalty program needs. SBC (Sports Betting Community) are the leading sports betting industry experts, running several of the most prominent and popular news portals as well as some of the biggest dedicated sports betting events, including Betting on Football, Betting on Sports and SBC Awards. Celebrating 10 years since the first SBC sports betting event, the company has developed a solid reputation for delivering excellent high level content and a focused audience of senior decision makers at their events. Working with more than 500 Casinos worldwide, SCA gaming provides digital casino floor promotions, mobile and web based gaming. Our newly re-designed loyalty systems GEMS Guest Engagement Management System, delivers highly customizable solutions to fit casino's individual needs. SCA Gaming takes pride in being a long standing Associate Member of NIGA. Shema Dougall Design Associates is an Interior Design firm with over 25 years of specialization in the casino and gaming industry. SIQ is an independent testing laboratory that tests gaming products for manufacturers that are selling gaming machines to tribal casinos to ensure they meet the technical standards adopted by the NIGC and/ortribal gaming regulator. Site 1001 is a high performance building performance and operations software platform that uses core building information, building systems and sensor data in combination with artificial intelligence to put the “smart” in “smart buildings.” Cloud-based, mobile first, and location-aware, Site 1001 helps owners, operators and facilities managers save money, improve building performance and extend building and asset life by delivering critical facilities information to the right person in the right place at the right time. Backed by a revolutionary building AI technology called ‘Carl,’ Site 1001 users can improve efficiency, slash FM costs, and extend equipment lifecycles without increasing workloads. Site 1001 is deployed at all four Navajo Gaming Casino properties. Smith Harrison LLP | CPAs and Consultants is an accounting firm dedicated to providing professional audit and consulting services exclusively for the benefit of Native American casinos nationwide. Experience matters and our decades of hands on experience in virtually all aspects of the gaming industry enables us to perform engagements effectively with a high degree of efficiency. Our mission is to partner with our clients in their pursuit of success and our knowledge based audit processes are design to add value to the gaming operation.We greatly appreciation the professional relationships we have developed throughout Tribal gaming and look forward to the opportunity to demonstrate our gaming expertise. SSA is an independent investment banking and advisory firm dedicated to assisting tribal and corporate entities with their financing and business development needs. SSA offers decades of financing experience in the gaming, hospitality and governmental sec tors. SSA currently serves tribes, corporate, governmental and investing clients with financial advisory services, debt issuance and restructuring, business development, investment and mergers and acquisitions transactions. SSA is a FINRA-registered broker-dealer. Native American majority owned architectural firm specializing in the design of casinos, hotels, and related facilities. Capabilities include Master Planning, Architecture theming, and Interior design. Firm has designed over 200 Casino projects and over 400 Hotel projects; and worked with 101 Native Nations. The Event Group (TEG) is a diversified event, entertainment and production/promotion company. TEG manages major entertainment programming for casinos and private corporations. The Hartmann Group is a leader in Tribal Gaming consulting with expertise in operations, marketing, finance, development, and project management. The Hartmann Group is a relationship-driven company based on long-standing and valued relationships with our clients and strategic partners that go back for many years. Tribal Financial Advisors is a boutique investment bank that specializes in capital raising and financial advisory work for Indian Tribes. Tutor Perini Building Corp. is a leading builder of Native American hospitality/gaming projects, offering expertise in building quality, on-time, on-budget projects throughout the U.S. Major Native American projects include Vee Quiva Hotel & Casino, AZ; Graton Rancheria Casino, Morongo Casino, Resort & Spa, San Manuel Indian Bingo & Casino, CA; Mohegan Sun expansion, MGM Grand at Foxwoods, CT; and Seminoles Hard Rock Hotel & Casinos, FL. Professional services include construction management, general contracting, pre-construction, post-construction, and design-build. The company’s success is based on its philosophy of "Building Relationships on Trust," deriving more than 80 percent of its business from repeat clients. Ultraviolet Devices (UVDI) manufactures air, surface and water disinfection equipment using UVC, photo-catalytic oxidation and molecular filtration technologies. These technologies reduce tobacco odor/smoke. They also provide energy savings and clean indoor air which enhances player experience and provides the best work environment. The result is clean, healthy air, happier guests/employees, plus energy savings. UVDI-MBE, ISO certified. UNLV International Gaming Institute (IGI) is a world-leader in gaming research, innovation, and executive education. We provide cutting edge insights to global gaming leaders in the public, private, and non-profit sectors. IGI is the global intellectual capital of gaming – providing research and programs to more than 50 jurisdictions across the globe. WorthGroup is an award-winning professional design firm. We have worked with over 50 Native American tribes for over 20 years to design outstandingly successful casinos and entertainment properties.